If carpet were a language, I think I would dream in it. They are everywhere—lining the floors of mosques and palaces and hanging down on the streets of markets. As an American, I am used to interior design characterized by beige. Even the vendors here tease me—they coat rugs in acid and put them in the sun for a “sun bath” to create the muted colors so many Americans crave. A lot of what has made Turkish carpets so famous, though, is the richness of the colors, the deep colors that refuse to fade. Turkish carpet traditions around wool, dying, and weaving date back to the 6th century. Despite this, over the years, methods of creating dyes have shifted. The 19th century meant change for many industries around the world, and one of the most traditional was not immune to such sweeping change. Starting around 1850, chemical dyes became widespread, and soon weavers stopped passing down the methods of natural dyes, until eventually, they were forgotten. Thirty years ago, though, some sought to reverse this modernizing step. 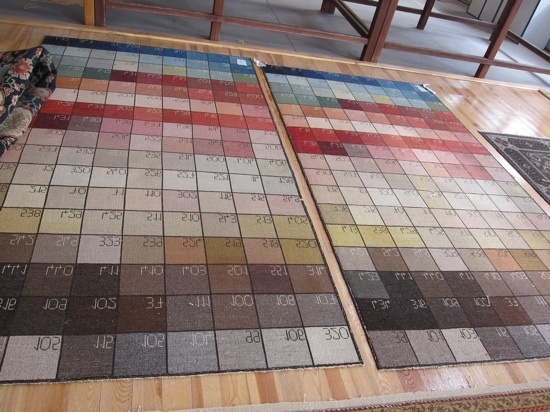 A German science teacher, Dr. Bohmer, was living in Istanbul in the 1970s when he discovered a passion for collecting carpets. He found the colors in the ancient ones much brighter and more resilient. Being a chemist, he decided to find out way. He started to take threads from ancient rugs and distill them, separating the material from the dye before tracing the ingredients in the dye. He soon found the sources, ranging from daisies to cochineal. Now almost every vendor in the Grand Bazaar yells out at passersby: “Natural dyes! Hand-made! Made in Turkey!” As tourists, we romanticize handicrafts—imagining the traditional methods, craving authenticity. 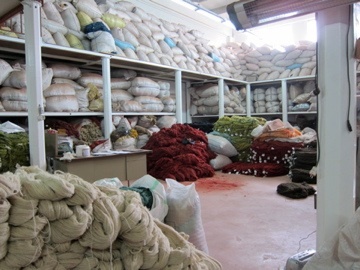 Natural dyes are a part of the formula for an “authentic” rug here. Even though many vendors promise such dyes—along with a “very good price, just for you”—few still make them in Turkey. Dr. Bohmer started the DOBAG project in 1981 by creating women’s cooperatives in villages and teaching them the methods of their ancestors. Since then, other companies have competed with this natural edge, as well. A killim artisan in Istanbul, Musa Kazim Basaran, assured me, though, that he was one of only 5-6 people who still use this method. Days later, Raffi and I visited the production site for Woven Legends, a company that makes and sells naturally dyed carpets on a large scale in Malatya. The results are spectacular—and I can testify that the product withstands age. I attended a gallery opening of killims the other day, and some with the most vibrant colors dated back to the 13th century. They are works of art. As such, it could be argued that they are priceless. In a stalling global economy, the “priceless” argument can only go so far in a whole marketplace of quite heavily priced carpets. This entry was posted in Uncategorized and tagged bazaar, carpets, Malatya. Bookmark the permalink.